Content Provided by the Colorado Garden Foundation. 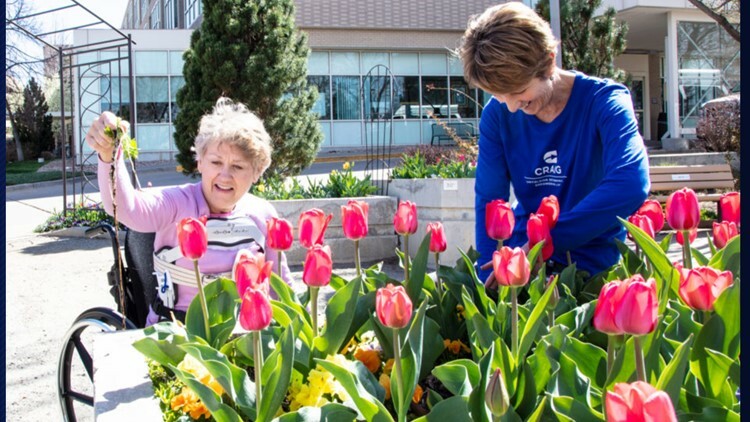 9NEWS is a sponsor of the 2019 Colorado Garden and Home Show. As more baby boomers head into retirement and beyond there is a large market for products and trends that help ease the transition. This includes things that are designed to help homeowners stay their homes longer, maintain their independence, keep their gardens and continue doing other hobbies and tasks at home. Many of these products and trends will be available at the 60th annual Colorado Garden & Home Show, Feb. 9-17 at the Colorado Convention Center. One example is an interactive accessible garden that proves age and/or disability doesn’t need to stand in the way of a beautiful and functional garden. The accessible garden, presented by local landscaping company FRSR LLC with input and direction from the horticultural therapy department at Craig Hospital, is one of the show’s 11 themed gardens. The garden features thoughtful suggestions on how spending time outdoors, and an activity such as gardening can be a healing and therapeutic experience that everyone can - and should - be able to enjoy. Ideas and support for gardening enthusiasts with limitations. Pathways that feature a wide clearance and smooth surfaces, to accommodate multiple users including people in a wheelchair. Raised planter beds with minimal rim width and U-shaped design, to allow wheelchair access around and underneath, as well as minimize the space between the gardener and the plants. A barbeque and outdoor dining area that is accessible and ADA compliant. Functional mobility interior design: widening walkways, lowering counters, handrails etc. Home elevators: flexibility, ease and increased mobility in an adapted home setting. Stair lifts, wheelchair lifts, lift and transfer systems for ease and mobility. These along with more than 600 companies will be at the 60th Annual Colorado Garden & Home Show, Feb. 9-17, at the Colorado Convention Center. Tickets and more information can be found at coloradogardenfoundation.org.